I received this message from Alan Stevens, Nottingham Maths Jam attendee. 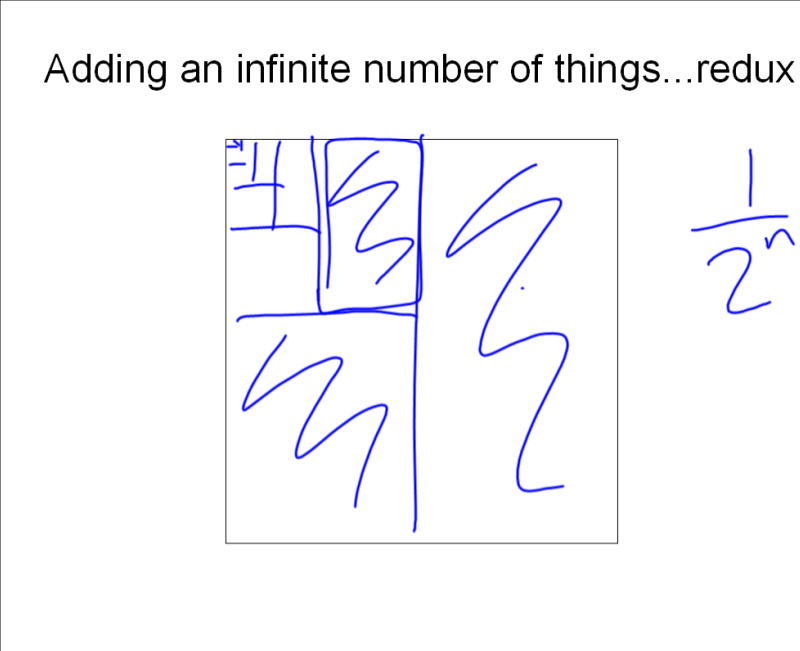 I am putting it here so readers of this blog and the other Maths Jams might consider the topic as well. Although I won’t be able to make the next MathsJam at Nottingham I’ve thought of a theme you might like to consider. I don’t know if you have themes, but, if you do, how about “Pictorial proofs and derivations”? Probably the most obvious pictorial proof is of Pythagoras’s theorem (in fact there are probably several such). Do your mathsjammers know of any more? I thought of this while viewing James Tanton’s YouTube channel, where he has a very pictorial way of looking at maths, including a very nice pictorially based derivation of the geometric series 1/3 + 1/3^2 +1/3^3 + … = 1/2. 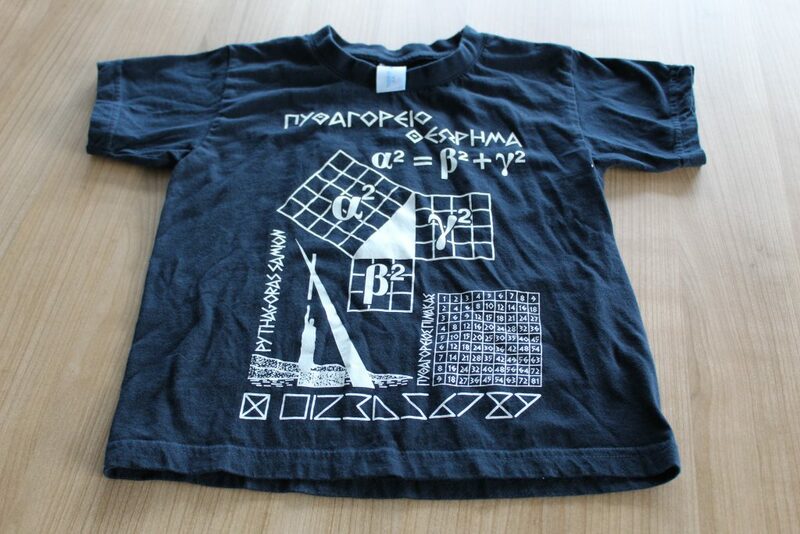 If you haven’t seen someone in a t-shirt displaying a pictorial proof of Pythagoras, you haven’t been going to the right sort of conferences! 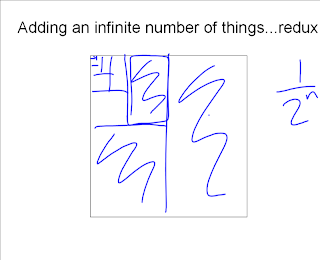 The James Tanton video reminds me of a pictorial demonstration of summing 1/2 + 1/4 + 1/8 + … which I used in a lecture, after Zeno’s paradox of Achilles and the tortoise, when I was trying to get across the idea of an infinite series summing to a finite amount. Shading half a square, then a quarter, then an eighth, and so on it looks like you will eventually shade the whole square and nothing more, a useful illustration that the series converges to one. In fact, I repeated this in the micro-teaching session of my Postgraduate Certificate in Higher Education course and a screenshot of the slide after I drew on it using the interactive whiteboard is below. I’m not sure if this constitutes a proof, though.